CLEVELAND—After asking friends and loved ones to assemble at his home so he could "finally come clean," Mike Holmgren made a tearful admission Sunday night, at last revealing he works for the Cleveland Browns and has been doing so for more than two years. "I know some of you probably feel angry that I've been hiding things from you, but I think you understand why I wouldn't want people to know about this," said Holmgren, choking up as he clutched the hand of his wife, who separated from him for a period after he confessed to her late last year. "And obviously, I did hide it. No, I didn't buy a house in Cleveland because I won a lifetime pass to the Rock and Roll Hall of Fame on the radio. And all those times I told you I was going to watch the Browns, it wasn't because I was scouting them. It was because I'm actually responsible for running the whole franchise." 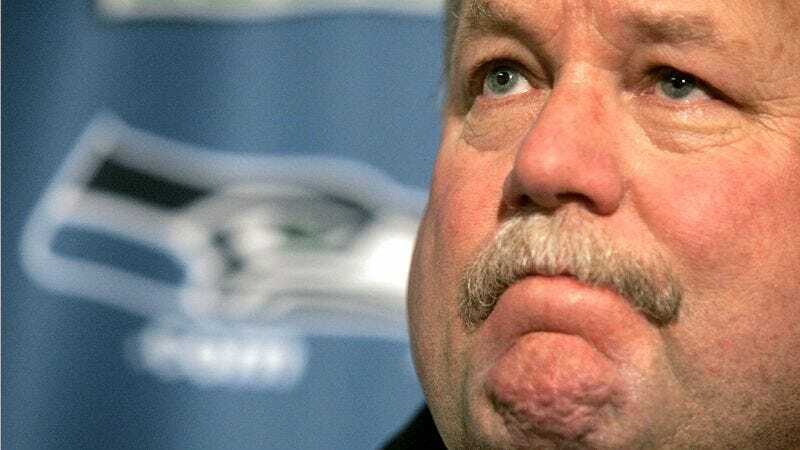 With the support of his friends, Holmgren agreed to seek help and next week will check himself into a rehab program located in the Packers' front office.